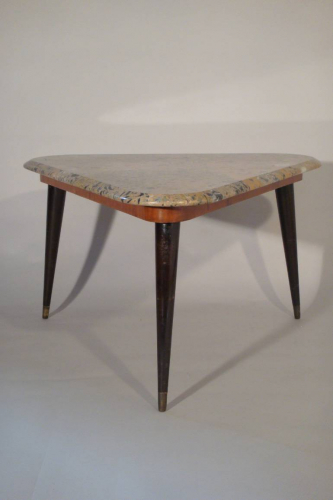 Vintage Italian 1950`s marble side table. Beautiful marble side or coffee table. The top rests on a polished three legged base - the wood finished with black lacquer and sabot feet. Italian c1950.